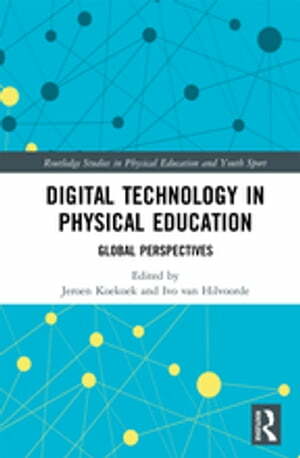 Collins Booksellers - Digital Technology in Physical Education by Jeroen Koekoek & Ivo van Hilvoorde, 9781351336963. Buy this book online. The rapid development of digital technologies has opened up new possibilities for how Physical Education is taught. This book offers a comprehensive, practice-oriented and critical exploration of the actual and potential applications of digital technologies in PE. It considers the opportunities that are offered by new technologies and how they may be best implemented to enhance the learning process. Including contributions from the US, UK, Europe, Canada and New Zealand, this international collection reflects on how digital innovations are shaping PE pedagogy in theory and practice across the globe. Its chapters identify core pedagogical principles – rather than simply discussing passing digital fads – and offer practical narratives, case studies and reflections on how PE practitioners can introduce technology into teaching and learning through the use of social media, video gaming, virtual reality simulation, iPads and Wiki platforms. Digital Technology in Physical Education: Global Perspectives is a valuable resource for students, researchers and practitioners of PE looking to integrate digital technology into their work in a way that does justice to the complexity of teaching and learning.